I’m pretty excited about this show… The first ever show with my great friend Stormie Mills and just myself! 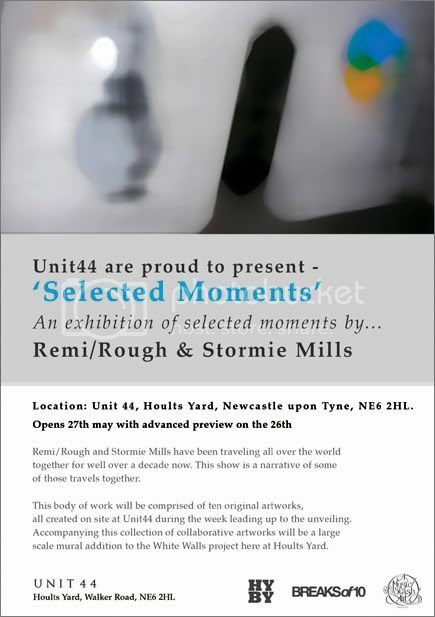 It’s at the Unit44 Gallery in Newcastle and we’ll be painting a massive wall as part of the show. It’s going to be pretty different for us both.